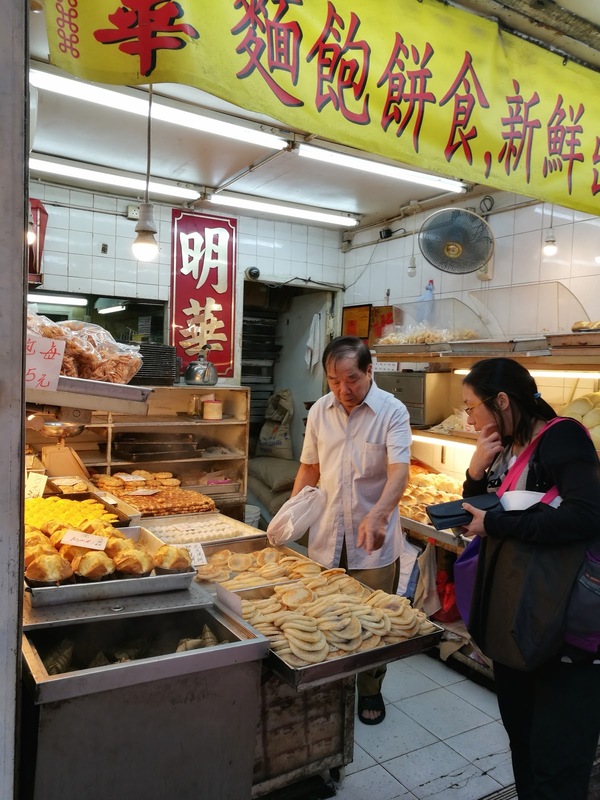 We headed out into the dense and crowded city yesterday to do some exploring and sample some local delights. 1. Scrambled eggs and crispy bun, paired with a bowl of satay beef with instant noodles in soup, and sweet condensed milk tea. 2. 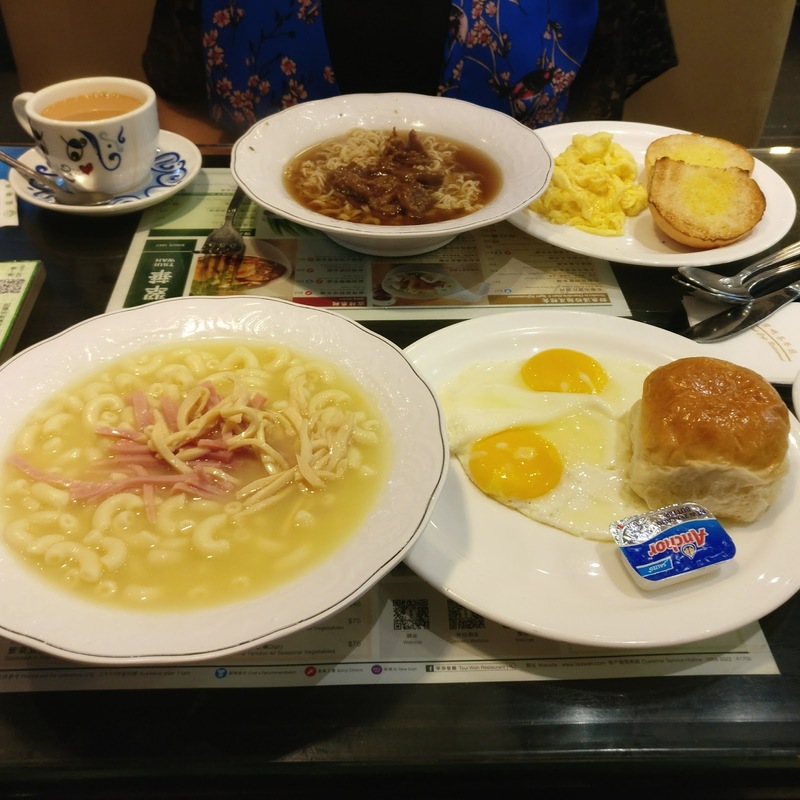 Fried egg and soft bun, paired with shredded squid and ham with macaroni in soup, and sweet condensed milk coffee. They really seem to love condensed milk in HK and put it on just about everything, including tea, toast and waffles. Needless to say this was a whole lot of food and a whole new level of breakfast, which we made a good attempt at, but in the end it was just way too much for first thing in the morning. After a huge breakfast we headed to Wan Chai Computer Centre to check out some electronic gadgets. This place is like Tottenham Court road on steroids. 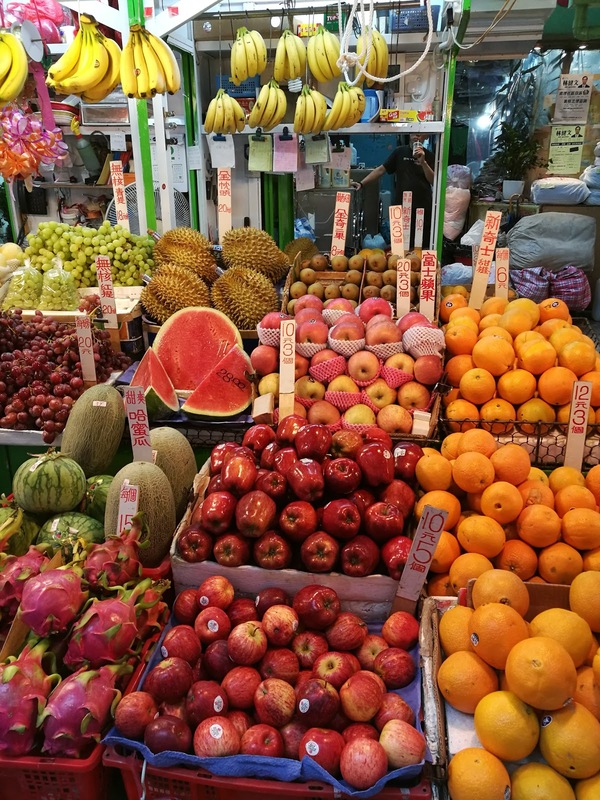 Next we headed to Mong Kok and the great Ladies Market for some serious haggling and a bit of retail therapy. Half way through we gave our feet a much needed treat with an amazing 45minute foot massage. 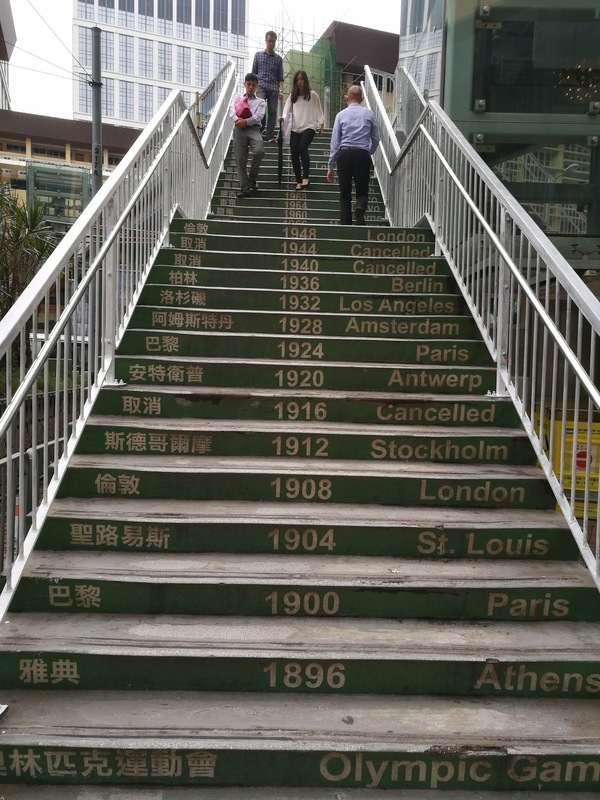 There are places all over the city offering foot massages and in a city like HK, you can kind of understand why. These ladies are like foot angels for sore feet. After a little more haggling (which can be pretty intense around here), we stopped for some street food. 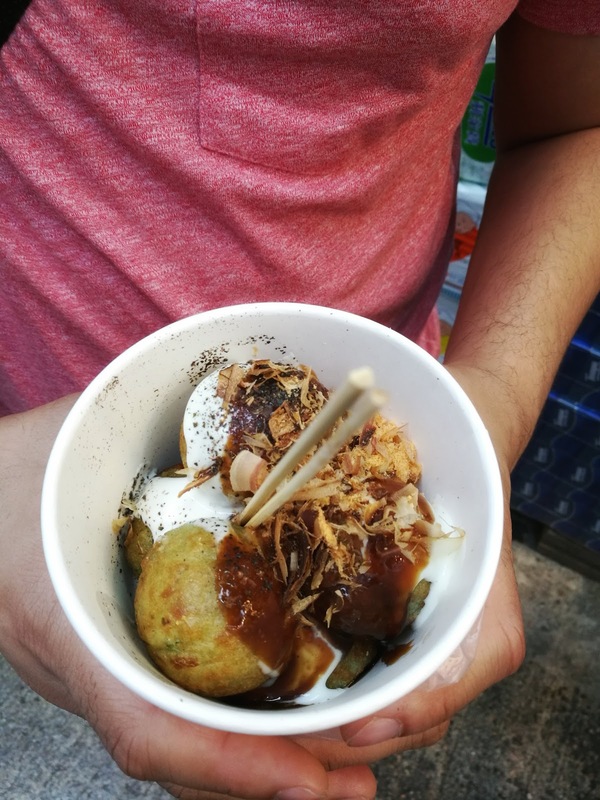 First off, some octopus balls (a lightly fried ball with a mushy interior texture, filled with veg and bits of octopus tentacles) covered in some kind of sweet and savoury sauce and some kind of edible shaving. As you can probably guess, most of this stuff wasn't in English, so we just ordered whatever looked interesting. Next we tried some soft shell crab and some incredible bubble tea and we finished off with an egg waffle (a light and fluffy textured plain waffle in the shape of an egg carton). We decided to take a break from the madness and hopped onto a double decker tram. 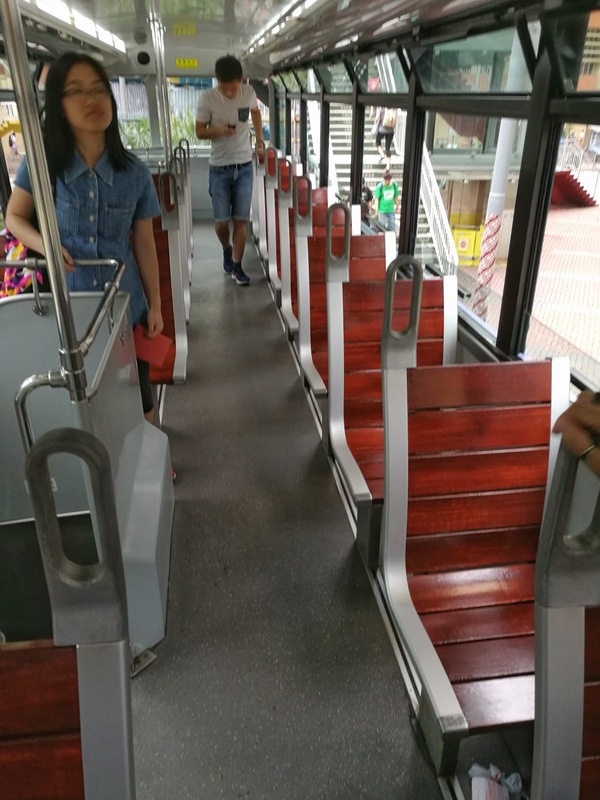 These things look like an amazing piece of engineering work and the view of the city from the upper deck is a fantastic and cheap way to see the city. We ended up in Causeway Bay and headed to Yee Shun Milk Company for some warm steamed milk dessert and a mango milkshake. The milkshake was pretty good, but the dessert was bloody amazing. 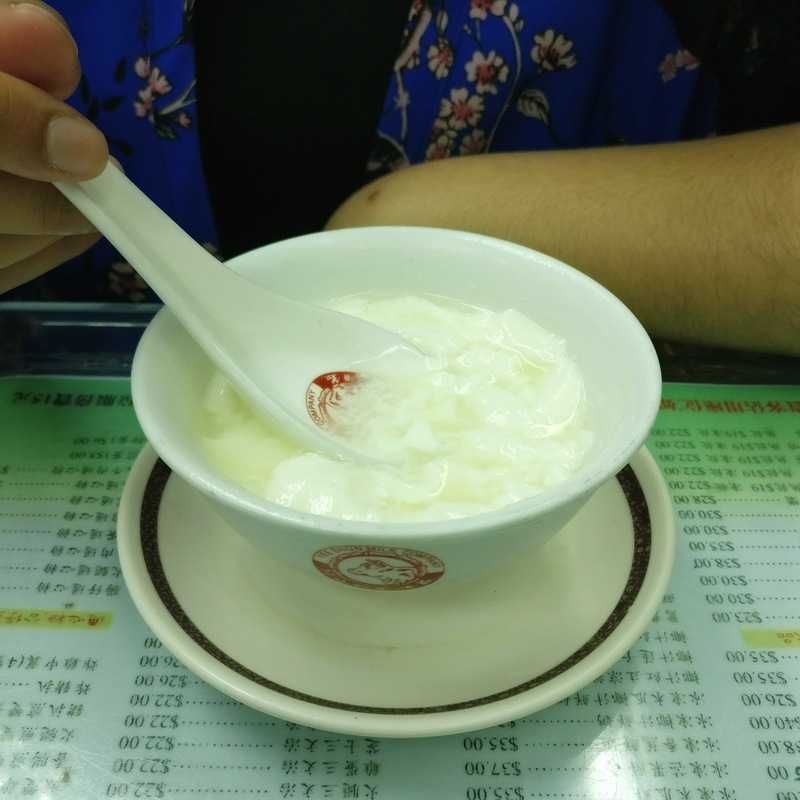 Looks can be deceiving as at first it just kind of looks like curdled milk, but I jumped straight in and oh boy, I wasn't sorry. I'm definitely going to have to get some more before we leave. It starts getting dark around here between 6pm - 7pm and since it was already dark we decided to head back to Mong Kok to visit the Temple Street Night Market. The traders here seem to be a little more chilled than the ones at Ladies Market and my shopping haul ended up being much more successful. 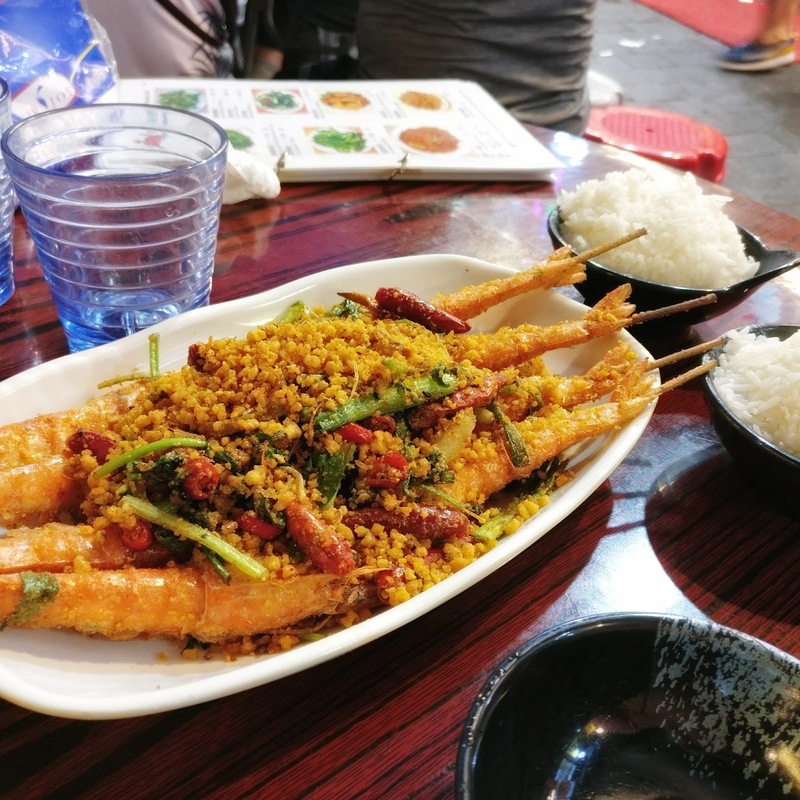 As dinner time approached our tummies started rumbling and we stopped at a little street café and ordered some Affluent Prawns with Chilli and Garlic and rice, with some green veg that looked a bit like bok choy. The prawns are all displayed in water buckets on the sidewalk and they catch them live when you order and then throw them in the pan for you. So it's literally from the pan to the plate and the flavour is amazing. This was probably my favourite street food of the day. Okay, now that you're all sufficiently hungry, it's time for us to head out and try some more weird and wonderful delights.